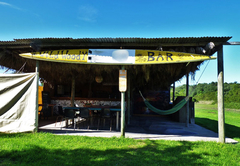 Woody Cape Backpackers and Nature Lodge is a highly recommended property providing self catering in Alexandria for tourists visiting the Sunshine Coast region. 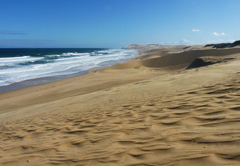 Woody Cape Backpackers and Nature Lodge is situated a three minute walk to an amazing beach which forms part of the 50 km of dunes of the Alexandria dune field, the largest active dune field in the world. 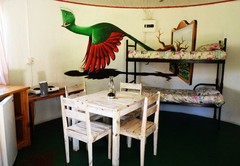 Woodycape Backpackers and Nature Lodge offer different kinds of accommodation for all budgets. 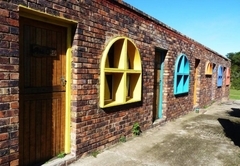 For a bit more of comfort we offer you our self catering chalets. 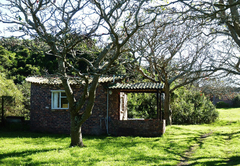 We have nine self catering chalets from four to six sleepers, with one or two bedrooms and en-suite bathrooms. 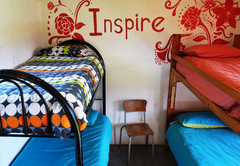 We have four dorms with four beds each, a big dorm with thirty beds and a double room, with shared bathrooms. 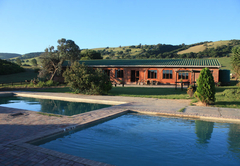 If you travel with your tent or caravan, our camping and caravan spots have everything you need to make your stay pleasant with enough shade and room for privacy, full ablution facilities with hot water and safe braai areas for comfort and security. We do our best to make your stay with us special. 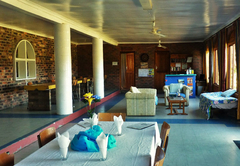 Here, you will find a friendly and welcoming atmosphere. 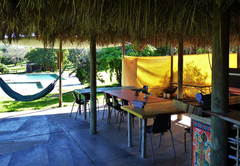 Woody Cape Backpackers and Nature Lodge is big enough to comfortably accommodate and offer privacy to all types of groups and individuals. All pets are welcome. Dogs must be on a leash at all times. Owners are responsible for cleaning up after the pet and must bring pet beds and water bowls etc. 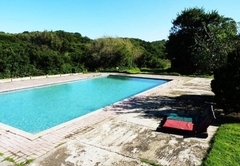 We are situated in a remote place, in the heart of nature, surrounded by the Alexandria's forest and the dune fields which form part of Addo National Park. This place is perfect for a range of outdoor activities. 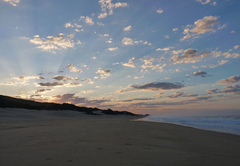 Here we organise Addo tours, canoe trips, overnight hikes on the dunes and horse riding trails. 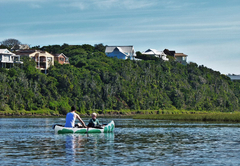 We are close to Kenton on Sea, the Bushman's River and the Kariega River; a wonderful place to experience canoeing, fishing, boat cruises and also to enjoy the game reserves. A six sleeper chalet with one double bed, two single beds and one bunk bed. 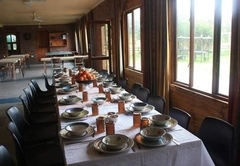 There is a kitchenette, terrace and braai area. A six sleeper chalet with two single beds and two bunk beds. 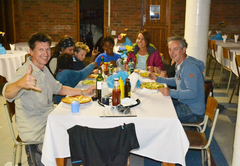 There is a kitchenette, terrace and braai area. 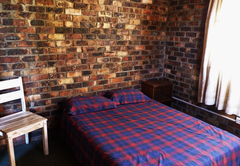 A two bedroom chalet, one bedroom with a double bed and a second bedroom with two single beds. There is a kitchenette and an en-suite bathroom. A two bedroom chalet with four single beds. There is a kitchenette and an en-suite bathroom. A one bedroom chalet with a double bed. There is a kitchenette and an en-suite bathroom. 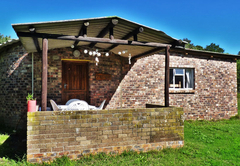 A one bedroom chalet with two double bunks. There is a kitchenette and an en-suite bathroom. This is a budget room with shared bathroom. Beautiful scenery, quiet and peaceful. Accommodation is simple and perfect.